Enthusiastic audience members found their way through the wardrobe into the magical world of Narnia. There, they met Lucy, Peter, Susan and Edmund, Mr Tumnus, Mr Beaver and, of course, Aslan. 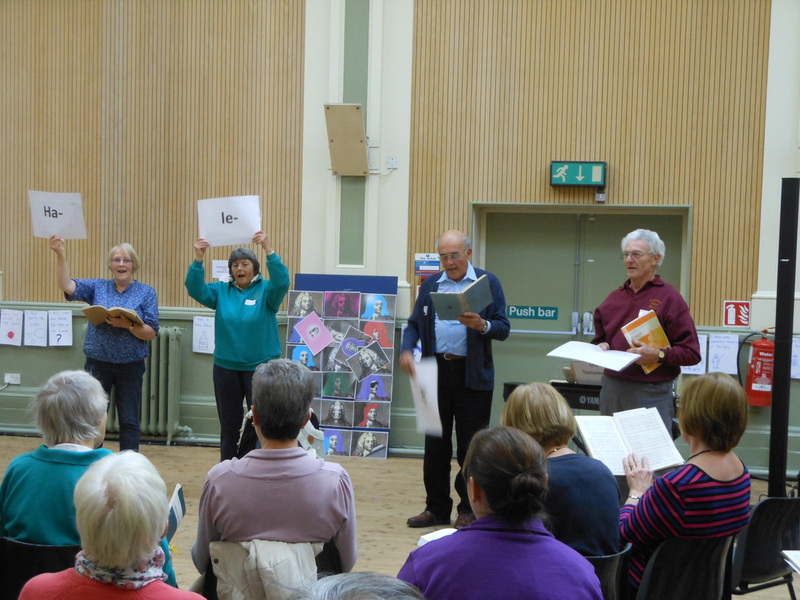 They listened to a variety of seasonal songs and carols, joining in a few, and enjoyed mulled wine, mince pies and Turkish delight. Together they defeated the White Witch and brought Christmas to Narnia for the first time in many years. A jolly good time was had by all. ﻿﻿One hundred years after the start of World War I, two highly successful and popular groups came together at St. Lawrence Church Towcester 8th November 2014 to support The Royal British Legion Poppy Appeal, which has been helping servicemen and women since 1920. Over £1,000 was raised. With over 290 people in the very receptive and appreciative audience, including Andrea Leadsom MP and Councillor Jim Lynch Towcester Town Mayor, it was standing room only. The concert was part of the 2014 Commemoration events taking part nationwide to remember the 888,246 fallen British or Commonwealth soldiers. A roll call of fallen servicemen from the Towcester area was read by Jane Causebrook and the long list of names made the history astonishingly real for those who are too young to remember these events first hand. The Rev. Ben Philips led prayers and thanked all present for performing and attending. Over 70 performers joined forces from Towcester Choral Society and Towcester Studio Band, conducted by their Musical Directors – Helen Swift (TCS) and Shaun Humphries (TSB). A varied program of music and readings appropriate for the Commemorative Remembrance Concert were performed, including Edward Elgar’s “Spirit of England” with soprano soloist Claire Turner, and a medley of war-time songs for everyone to join in. The evening concluded with over 360 voices and players joining together from choir, band and audience to sing with pride and gusto “Jerusalem” which filled the church with an extremely moving atmosphere. 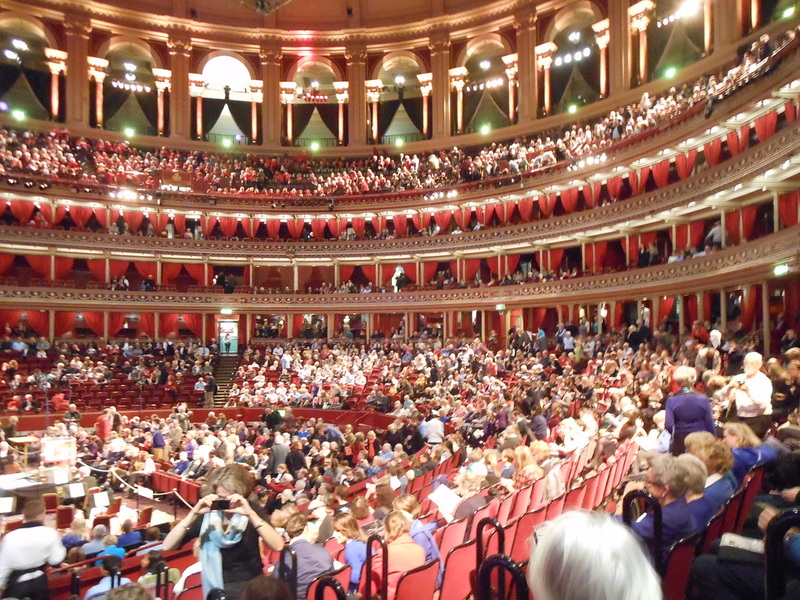 For many members the excitement of Christmas doesn’t begin until they have joined The Really Big Chorus at London’s Royal Albert Hall for Messiah from Scratch, and 2014 was no exception. Some 40+ singers and supporters from TCS and surrounding choral groups took a jolly jaunt to London by coach for the event. We joined some 3,500 singers in this memorable experience of singing The Messiah and believe us when we say that the result was superb: a wonderful adrenaline-filled performance which left everyone – singers and audience – leaving the concert on an amazing ‘high’. 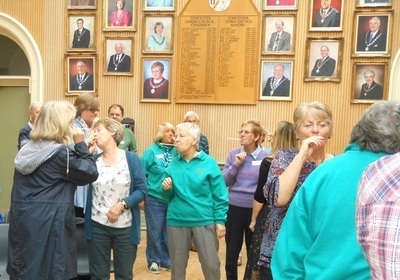 This weekend saw 40+ singers from all over the area join together for a fun, enlightening and entertaining day. 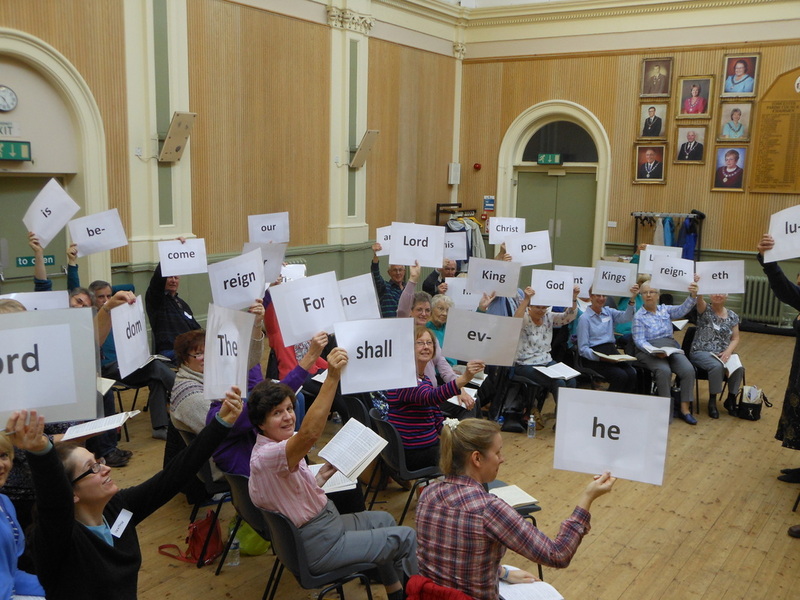 The workshop was to focus on some of the choruses from Handel's Messiah, both the popular and less known. Helen Swift had planned a memorable day, which including new techniques, teaching us complicated musical runs through humour and understanding how to see the structure and make it simple to understand and practice. 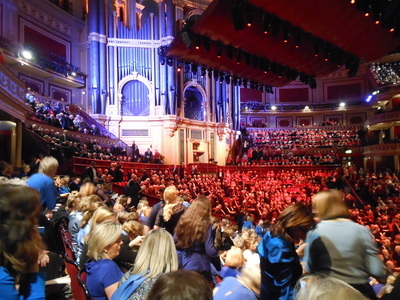 There were plenty of opportunities in the day to top up energy levels with hot drinks and sweet treats, and also time to get to know some of the class mates from other choirs. A small performance was given at the end of the afternoon for family and friends who were about 20 in number and everyone agreed it was a fabulous day. 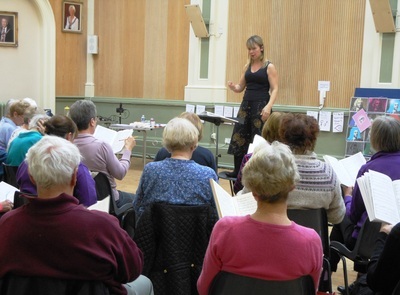 The programme presented pop classics from the 1940s to the present day, including songs from Cole Porter, The Beatles, Queen and Adele. There were two performances, Tuesday 24th June and Friday 27th June, both at Towcester Town Hall and both evenings were sold out. Many of the audience commented on the cheerful appearance, the up-beat programme and the improvement the choir is making year after year. 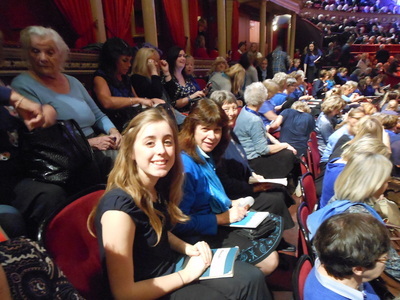 Easter 2014 saw TCS venturing to the metropolis of Northampton to present a programme commemorating the outbreak of WW1, in co-operation with Northampton Concert Orchestra. Works performed included Elgar’s Spirit of England and Stanford’s Te Deum, as well as pieces by Taverner, Parry, Holst and Coates. 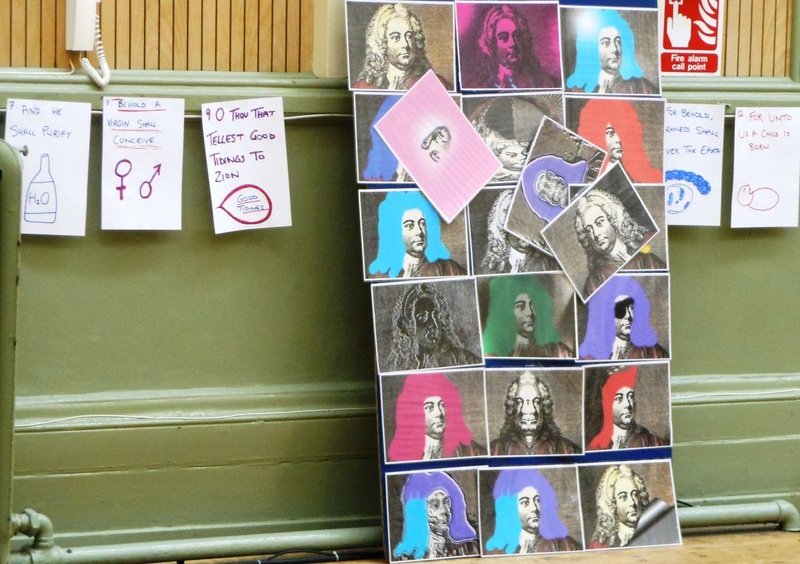 Abington Avenue United Reformed Church was packed and the concert thoroughly appreciated by all.